Have you heard of the site: theydrawandcook.com? I found it a while back and have been taking my time coming up with an idea for it. Well, last night I made this recipe and the family loved it. Well, hold on. So my husband brought home a piece of blueberry cobbler about a month ago. Maybe not quite that long but it got me in the spirit for more! I split that piece with our three year old and I’ve been thinking about it ever since. So after trolling some recipe sites I came across a generic fruit cobbler recipe on allrecipes.com. It got good reviews so I gave it a whirl. 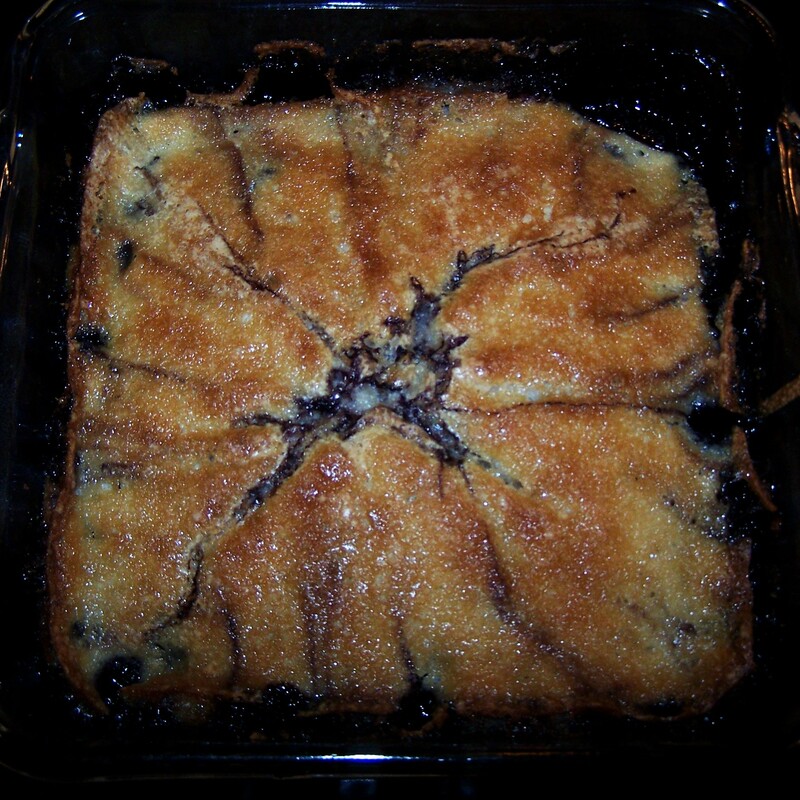 About 5 ingredients and 2 cups of blueberries later … we had this delicious dessert. So it made my plan easier, it all came together perfectly — I like making fancy letters and drawing plants and food and circles! Circles are great, add some shading and boom – blueberries. Easy peasy. Once it was all scanned in and arranged I added a grunge layer and submitted that sucker. Just a short while later I got a hit from the site. ACCEPTANCE! Yesssssssss! This entry was posted in food, photos and tagged antique effect, art, baking, blueberry cobbler, dessert, drawing, food, hobby, photography, photos, recipe, textures, they draw and cook. Bookmark the permalink.